* I received a free copy of this audiobook from the narrator in exchange for an honest review. This is the follow-up book to HALFSKIN. Twenty years have passed since Callie invented biomites that were untraceable by the government. Nix and Callie are both still alive, yet they lead vastly different lives. Technology did not stand still over the past twenty years. Biomites no longer replicate unchecked and people are able to maintain them at a level of 49.9% biomite and 50.1% clay (or organic/original matter). The government still shuts down people’s biomites when a person becomes Halfskin. However people have found a way to outsmart the system using untraceable biomites created by many different sources (called Nixes) and bought and sold on the black market. Technology has advanced so far that the government has created “Bricks.” These are 100% biomite created people. These “Bricks” are uses to hunt down and destroy Halfskins. Marcus Anderson is back. He’s older but he is still 100% clay. He wants to rid the world of biomites once and for all. Meanwhile Nix Richards wants to find a replicator to create a human body and he is willing to do anything to achieve his goal. This audiobook is a thrill ride that will have listeners riveted to David Dietz’s wonderful narrative skills. 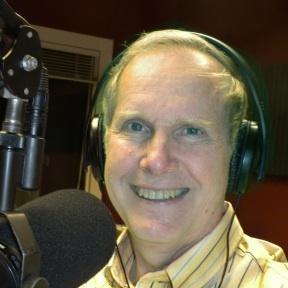 With just the right amount of drama and suspense listeners will not want the story to end. This is a thrilling tale of what can happen if technology proceeds unchecked. It is also a tale of human nature and the pursuit of a dream. Visionary or fanatic? Technological marvel or the downfall of mankind? Readers are sure to develop their own opinions on biomites. This might just be a look into the future of our society and that is precisely why this book is so interesting (and scary). This story may be fiction, but it addresses many ethical questions that arise when issues such as cloning and artificial intelligence are discussed. The author does a wonderful job of explaining and exploring the varying opinions on the topics. This book will not only entertain you, it will make you think. Both HALFSKIN and CLAY need to be added to everyone’s “must read” list for 2015. 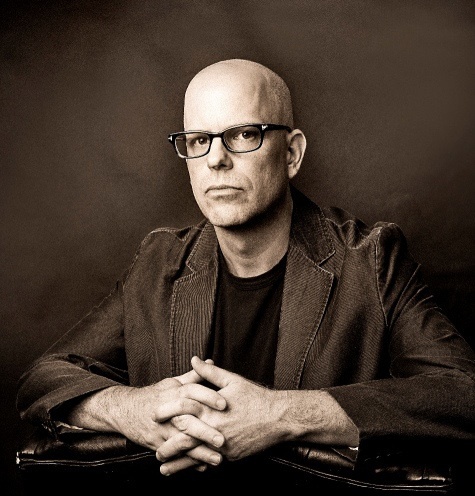 I can’t wait to read/hear what Tony Bertauski comes up with next. 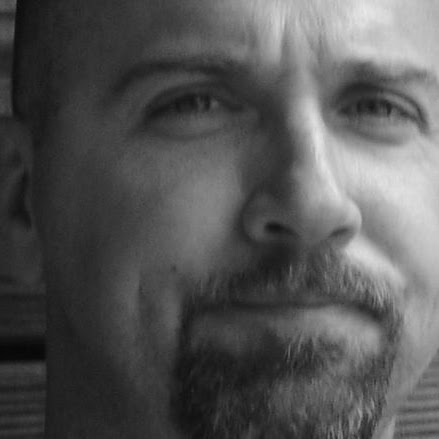 David W. Dietz is a writer, actor, director and producer from Pittsburgh, Pennsylvania. 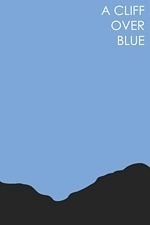 * I received a free copy of this book from http://www.netgalley.com in exchange for an honest review. It was not very long ago that no one had even heard of ISIS and now it seems that you can’t turn on the news or listen to the radio without hearing about this terrorist organization. Despite the fact that it is constantly in the news I did not have very much information about the who, what and why of ISIS before reading this book. Journalist and Author Benjamin Hall spent time behind enemy lines and this book is a direct result of the information he obtained and the events he witnessed. ISIS is a plague that must be stopped. They hate all things Western and all of us who live in the United States and Canada. They say they are fighting a holy war, but it seems that what they say and what they do are completely different. 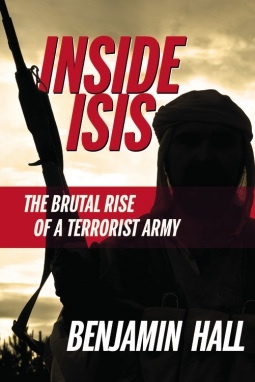 In this book the author attempts to answer many of the questions that come up when ISIS is discussed. Where did ISIS come from? What do they want? And most importantly how can they be stopped? The names of the various jihadist groups as well as the names of individual people within those groups are difficult to pronounce and since so many of the names are similar, they are often confusing to the reader. However, the author has done an admirable job of distinguishing between the various and often convoluted jihadist groups operating in the Middle East. This is an important book. Knowledge is power and the more people know about ISIS, the less power they will be able to wield. I encourage every U.S. and Canadian citizen to read this book. Through knowledge maybe we can affect significant and lasting change for the innocent victims of ISIS in the Middle East. This book will stay with you long after you close the cover. This is an extremely short non-fiction story about the author’s life. Although I feel genuine compassion for Daniel’s life challenges I am rating the story, not the emotion behind it. I think that if this was longer and a bit more detailed I would have given it a higher rating. As it stands it is hard to feel much since the length of the story does not give the reader time to genuinely connect with the author and his plight. The fact that the author is only 18 years old probably accounts for whatever shortcomings the story has. But I do believe he has potential. Also, his life story is probably fascinating and if turned into a novel length narrative would grip the reader’s attention. Cassandra’s parents were killed and she was captured and imprisoned at the age of five. She has spent the past eight years living in a ten foot by ten foot cell with no contact with other children and barely even any contact from her captors. There is a brief but disturbing scene near the beginning of this book that contains material inappropriate to younger readers. In my opinion this book is not appropriate for readers under the age of sixteen. 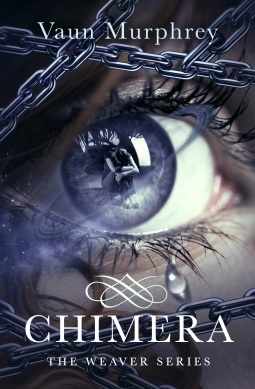 Cassandra is rescued after her eight years in captivity by an Uncle that she never knew existed. Gerome was her mother’s brother and he had thought for many years that Cassandra had died alongside her parents. Taken to live with Gerome and his wife Maggie, Cassandra must readjust to life outside of prison. This is easier said than done, especially once she discovers that she is not like everyone else. Cassandra is a Weaver. This means she has the ability to access the Web. The Web is just that: a web of information, knowledge, memories and the minds of others, both living and dead. Cassandra discovers that she has escaped captivity but is still not safe. I enjoyed this book and the target readership is Young Adults who I believe will like this new series very much. The reason I gave this book 4 stars rather than 5 stars is that the lead character is only thirteen and yet acts much older. It seems a bit unlikely that any thirteen year old would be as mature as Cassandra is. However, she is obviously not a normal thirteen year old. She is a Weaver with very special abilities, so I assume that is why she is so mature. This is the first book in “The Weaver” series. Books 2 & 3 are also currently available. The fourth book in the series is due to be published soon. This book will delight readers who are interested in the Science Fiction genre. This is definitely an interesting book and keeps the reader’s interest right to the last page. The ending leaves the reader wanting to immediately start reading the next book in the series which is exactly what I plan to do. The cover was created by artist Nathalia Suellen and is absolutely stunning. This cover is what initially drew my attention to this book which is exactly what author’s want their book covers to do. 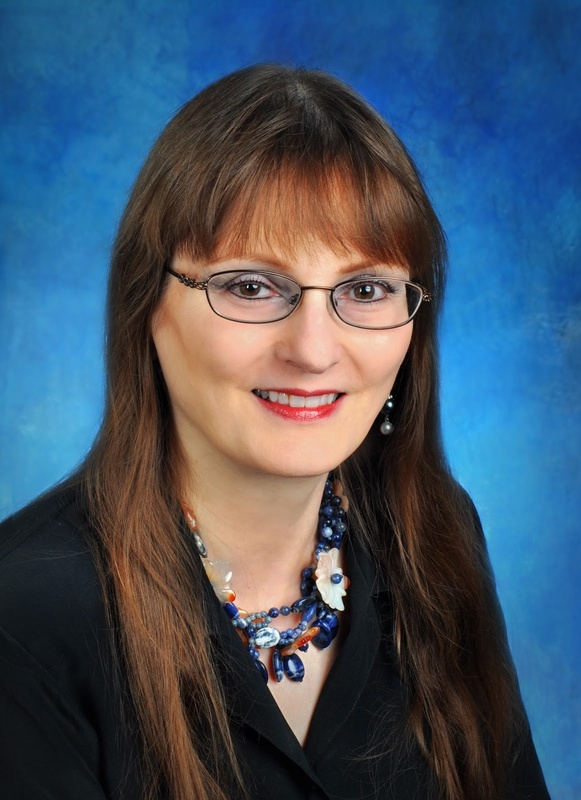 Vaun Murphrey is a writer, a mother, a wife, a daughter, a sister and a friend. She currently lives in Lubbock, Texas. Biomites are artificial stem cells that can replace any cell in your body. Nix Richards nearly died in a car accident when he was a young child. He was seeded with Biomites and they saved his life. Imagine being able to cure any disease, even cancer. Imagine having the ability to recover from any injury. What an incredible boon to mankind. However, there are always those who will oppose any medical advancement as an affront – either against God or against mankind. The government decides that anyone with 50% Biomites are no longer human. At 40% you are “detained and observed” at 50% they shut you off. When Nix is detained his sister, Callie, a brilliant biomite researcher is determined to find a way to save him. Meanwhile a religious fanatic who happens to be a federal agent is equally determined to shut Nix down forever. This book is brilliantly written and is so realistic that readers cannot help but see this as an inevitable invention. There is the perfect amount of tension and suspense. The author has done an incredible job of detailing the difference of opinion between those who want to use any technology necessary to prolong human life and those that believe that any tampering is going against God’s will. It brings to mind the belief of some religious groups that exist today who would rather let their child die than to allow a life-saving blood transfusion. This book will stay with listeners long after the audiobook ends. Narrator David Dietz was the perfect choice for this book. His tone of voice and pacing was just right and he draws the listener into the story. He differentiates easily between characters and is able to convey emotions with ease. 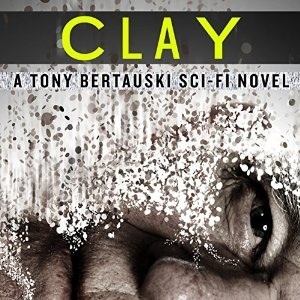 I rate this book as 5 out of 5 stars and I am looking forward to listening to “Clay” which is the follow-up to this audiobook. This is a retelling of The Epic of Gilgamesh. The book was an interesting and entertaining listening experience. 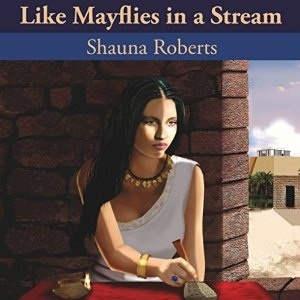 Set in the ancient world of Mesopotamia in the time of King Gilgamesh, in the great city of Uruk, this book follows the intertwined lives of several interesting characters. Gilgamesh may be the most powerful King of the most powerful city in the land, but that does not mean that he is a good King. In fact, he is anything but a benevolent ruler. He claims the right to bed any bride on her wedding night and exercises that right often and with brutality. He forces citizens to wrestle him and does not care when they are left crippled and unable to support themselves or their families afterward. Citizens of Gilgamesh’s city have been flocking to the temples of their Gods in droves asking for assistance and protection. The temple priests and priestesses are desperate to find a way to turn Gilgamesh into a King worthy of worship and adoration rather than fear and hatred. Shamhat, a priestess of Inanna, is sent into the wilderness to find and civilize a wild-man who is thought to be a match for Uruk’s violent King. The priestesses are hoping that he will be able to humble Gilgamesh. This story brings to a life a tale that has endured the test of time. It is a book that examines the benefits of being part of a society (civilization) versus the benefits of living free and relying on no one but yourself. Which is better? Why? It also highlights the drawbacks of both lifestyle choices. Is it better to give up your freedom in exchange for comfort and security? And what happens when the leader who is responsible for maintaining order thinks only of himself and not his citizens? The character of Shamhat is a wonderfully vivid character and Hollie Jackson (the narrator) skillfully brings her to life in stunning detail. 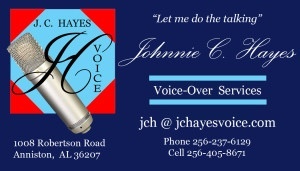 Her voice is perfect for this character and greatly enhances the listening experience. This book is not meant for younger readers since it contains sexually explicit and violent situations. If you have not yet heard the tale of Gilgamesh or it has been a while since you have read it, I highly recommend listening to it as an audiobook. It is an experience that you will not regret. Everyone should know the tale of Gilgamesh and this book does a great job with that epic tale. The author has included many fascinating cultural details as well as details about the ancient gods and how they were worshipped. I found the description of ancient burial rites as well as the intricacies of ancient commerce particularly interesting. There are Author Notes included at the conclusion of this audiobook which offers even more details. Henry loves his job. He is the Chief Park Ranger at Crater Lake Park in Oregon. He has spent the last eight years as a Park Ranger after leaving his life as a New York City police officer after being shot while on duty. The park’s central attraction is the deep blue lake that was created by a volcanic eruption millions of years in the past. While leading a tour group Henry is on hand when an earthquake strikes the park. The tourists were shaken up but unharmed and Henry led them back towards the Lodge. This was the second earthquake they had in the last two years and it concerned Henry. On the path back to the Lodge, Henry makes a stunning discovery. The earthquake had shaken loose a section of the ground and revealed a large and obviously ancient bone pile. The bones were too large to be those of a bear or mountain lion. In fact what they looked to be was dinosaur bones, but Henry knew that dinosaur bones had never been discovered in that region. He decides to contact a paleontologist to come and examine the bones to find out if his suspicions are valid. Meanwhile one of the park visitors mentions that a year earlier her friend had seen a monster in the lake. Of course, noone believes it. Why would they? It’s ridiculous and preposterous. People start to disappear and something attacks the homeless camp in the park. Obviously since this book is called “Dinosaur Lake” the mysterious monster turns out to be a dinosaur. The author has done a good job of making this unrealistic situation come across as possible. 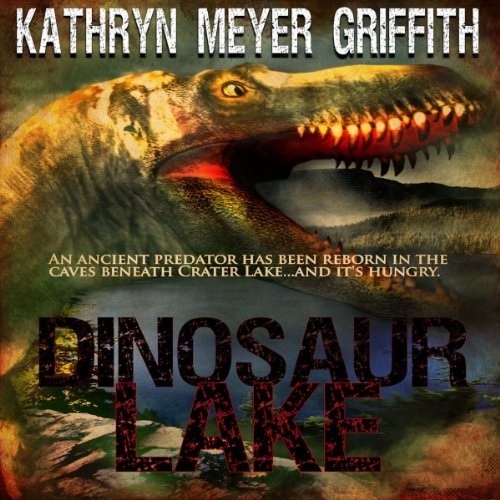 This book is a combination of “Lake Placid”, “Jurassic Park” and “Volcano”. It is a light and entertaining book. The narrator has a good voice for coming across as a simple, good ol’ boy type of Park Ranger. 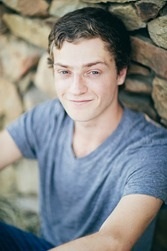 He is able to convey the reluctance of a regular guy to believe in the unbelievable. 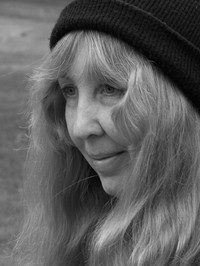 Kathryn Meyer Griffith is the author of twenty-two published novels as well as novellas and short stories. This novella is a follow-up to the first book in THE WAITING Series. * WARNING* This novella will not make much sense if readers have not read THE WAITING first. To understand exactly what is happening with each of the characters and how they came to this point in their lives is essential to truly appreciate the storyline. THE WAITING is complex and has a complicated plot with a large cast of characters. At the end of THE WAITING Arianne has found her oldest son shot in the entrance to her home. He dies en route to the hospital and the ambulance is involved in an accident torching the van along with it’s occupants. Arianne may have fought with Nash, even despised him at times, but he was her son and she loved him deeply and unconditionally. Andrew and Arianne had just decided to give their damaged 26 year marriage a chance. Andrew had promised to try to be a better husband and father. Gregory found out that his ex-girlfriend, Tiffany was pregnant with his child. (Readers know she isn’t really pregnant) He was in love with Arianne and she loved him but it was Tiffany’s pregnancy and Arianne’s belief in familial duty that prompted her to return to Andrew rather than to seek happiness with Gregory. She loved him enough to let him go so that he would have a chance at his own family and happiness. Gregory does not love Tiffany but he recognizes that Nash’s death has changed everything. 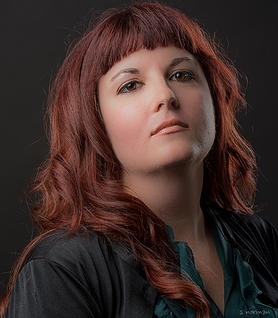 Arianne is going to be arrested for the murder of her son and both Andrew and Gregory know that she did not kill him, but they need to discover who is actually responsible. Millie was in love with Nash even though he was her ex-husband’s son. She is racked with guilt and remorse. No one knows that it was her plan to have Nash’s brother Reece killed that went horribly wrong and instead ended in the death of her beloved. All of this and a illegal organ transplant ring that involves multiple hospitals and even multiple states. This story has it all. You can see what I mean when I say the plot is complicated and the cast of characters large and complex and even with all the facts I just listed, I have left out quite a few details and even failed to mention several key characters. This series is a terrific read. The authors have managed to create an amazing story that will keep you reading long into the night. The convoluted relationships may seem unrealistic, but once you read the books you will begin to understand exactly how it is that they came about. The authors have done an incredible job of delving into people’s psyches and detailing what makes them tick. This novella is a terrific addition to the series and I am excited to read Book Two. NOTE: This book is intended for mature readers due to adult scenes, situations and language. Elizabeth Burgess and Marie Hewes have been best friends since the ages of six and four. They both live with their partners in Louisiana. THE WAITING is their first book. * I received a free signed copy of this book in exchange for an honest review. The cover design is nothing short of awesome. If you are a Science Fiction fan or a fan of Post-Apocalyptic fiction then this book cover cannot help but stimulate your interest. D.L. Young has written a highly entertaining but also terrifying collection of short stories. The author and I seem to share some of the same concerns with where our modern society and it’s technological advances are heading. THE READER – Though this story takes place in a distant future and offers a tantalizing glimpse into that world, it is more a story about human nature than about technology. Though it is short it is a captivating and compelling tale. TRAINING THE FUNDIES – “The Fundamentalist Church of Divine Wrath” scared the heck out of me. The scariest part of this story was it’s plausibility. 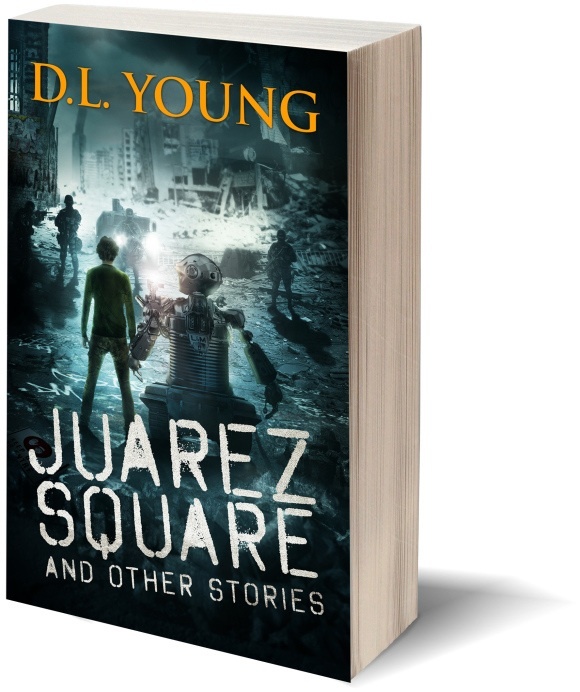 JUAREZ SQUARE – Fifteen year old Diego is summoned by EL CARNICERO (The Butcher) “the local narco boss”. He doesn’t know why and he’s scared. This story proves that no matter how much technology we may have, there will always be people who will prey on the weaknesses of others. I love the robots in this story. So creative. There are several other stories in this collection and each one has the potential to be a full-fledged novel. D.L. Young has imagined a very detailed and terrifying future that could actually become a reality. This is a collection of dystopian fiction that is a must-read for lovers of that genre. Despite the fact that these stories are fiction, they are also a warning and a commentary on modern day society. They warn against a possible future that may come to pass if technology and greed continue to advance unchecked. This short story collection will strike a chord with all intelligent readers. It not only entertains, but also offers food for thought. Who could ask for anything more? I rate this collection as 5 out of 5 stars and can’t wait to see what this author comes up with next. “D.L. 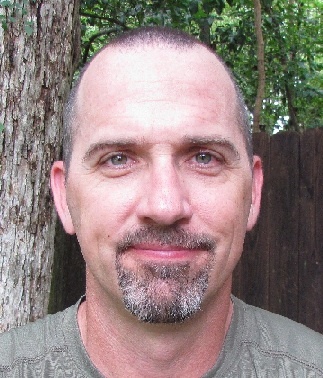 Young is based in Texas and is the founder of the Space City Critters Writers Workshop. He is a Mensa member who loves both cigars and English soccer. This book starts off with a murder. The book then goes three weeks into the past and a large number of characters are introduced. It can be daunting trying to remember who each character is and how they are connected to each other, but the author does a good job of explaining each of the complicated relationships. The cheating, womanizing and egotistical Dr. Andrew Douglas has been married to the lovely and talented Arianne for twenty-six years. Throughout their entire marriage he has cheated on her with a string of young, buxom women but none of them have really meant anything to him. His sense of entitlement and self-importance allows him to exist guilt free and to never even consider what effect his philandering might have on his wife or children. Arianne is the perfect wife. Despite the fact that Andrew had been married when he and Arianne first met, Arianne had hoped to change his cheating ways and to turn him into a good husband and father. Twelve years into their marriage, in a moment of weakness, Arianne fed up with Andrew’s cheating and his lack of availability she sought solace in the arms of his best friend, Dr. Gregory Adams. The result of that brief, but intense affair was the birth of the now thirteen year old Pike. No one knows that Pike is really Gregory’s biological child, even Gregory has no idea, and Arianne is determined to keep it that way. She also tries to hide the fact that deep down she is still in love with Gregory. Her sense of honor will not allow her to follow her heart and leave Andrew to seek happiness with Gregory. Andrew Douglas wants it all. He wants his gorgeous and talented wife at home waiting for him. He wants his mistresses ready and waiting for him whenever the mood strikes him. He even wants his ex-wife in his bed, despite her hatred for Arianne. He wants more prestige, more power, and of course, more money. This desire for “more” leads him to get involved in organ trafficking. It is his ex-wife Maddie who gets him involved in the scheme. This “venture” seems too good to be true and Maddie has a diabolical plan of her own. If I try to list all of the characters in this review, it will end up being several pages long. The best word to describe this book is SCANDALOUS! Despite the large and detailed cast of characters this is a good story. In fact, it would make a good television series. In a television venue it would be allowed the time to develop each of the characters and to highlight each of the complicated and convoluted ways they are tied to each other. The author should definitely send this book to a television producer. Readers know from the beginning that the lives of the characters in the book are about to be shattered and there is non-stop action throughout. Old actions come back to haunt some of the characters and deep seated hatred is let loose by others. 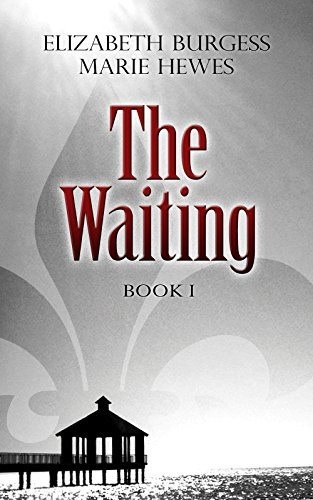 If you enjoy a good drama/thriller than THE WAITING is the book for you. I read this entire 417 page book in a twenty-four span. It is just too good to put down. I highly recommend adding this book to your MUST READ list. I highly recommend this book to those who enjoy immersing themselves in the complicated, dysfunctional and dramatic lives of others. There are three more books in this series that are currently available. 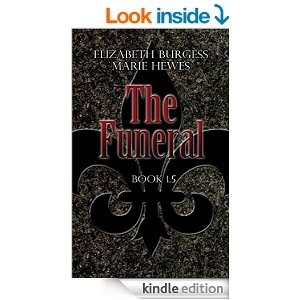 Book # 1.5 “THE FUNERAL” is next up on my reading list. * This book is NOT suitable for readers under the age of 18. There are sexually explicit scenarios and adult themes and situations.